Loyola Sacred Heart High School is a diocesan Catholic, co-educational high school committed to providing the highest quality college preparatory education. Since its beginning in 1873, Loyola Sacred Heart has exhibited academic excellence. The current enrollment is 170 students with a capacity of 200 students. The enrollment typically includes approximately 40-50 students in each class from grades 9 – 12, of which 50% are Catholic. The remaining 50% of our families are of all faiths and denominations. LSH is founded on the charism and teaching philosophy of the Jesuit Fathers and Sisters of Providence. LSH is a Catholic educational institution that provides a venue where students can seek, find, comprehend, and apply the truth. LSH emphasizes not only the subject matter but also the process by which one “learns to learn.” The process of learning is the central focus and, rather than passively receiving information and predefined explanations, students actively engage in finding out what they want and need to understand. The art of teaching students “how to learn” motivates our education. The aim of the educational program at LSH is to develop women and men, who are compassionate and curious learners, intent upon assuming increasing responsibility for direction of their own intellectual, spiritual, social, emotional, and physical development. Therefore, emphasis is placed on teaching students to be self-directed learners, people who make meaningful and deliberate choices about how to best profit from their educational opportunities. The Program of Studies at Loyola Sacred Heart is intended to provide an education that is both Christian and humanistic. It is assumed that all Loyola students will continue their education on the college level. Emphasis is, therefore, placed on developing those skills and strengths that will be necessary for the successful completion of a college program. Loyola Sacred Heart (LSH) High School employs over 20 faculty, and 9 support staff, that are dedicated to the mission and calling of teaching in a Catholic school. Many of our faculty carry master's degrees from institutions all over the United States. 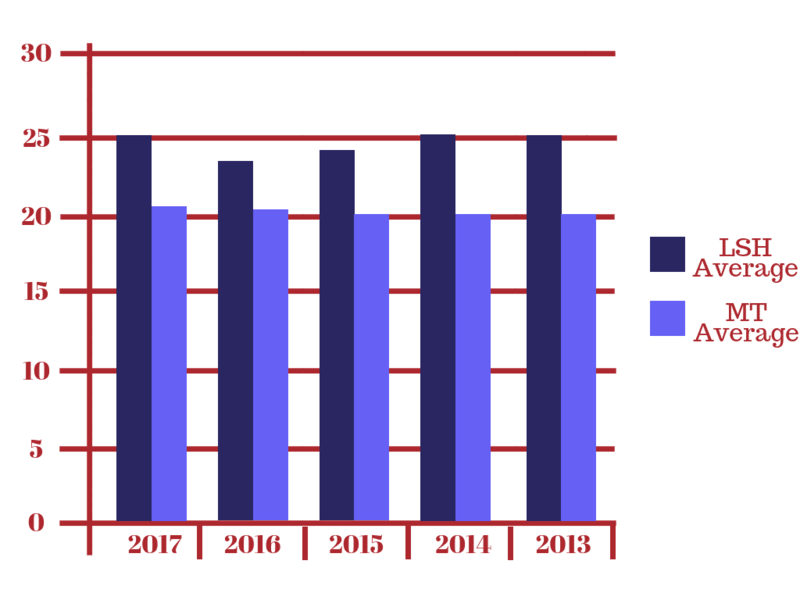 Our average tenure at LSH is nearly 16 years. Our longest current tenured teacher is now beginning their 45th year of teaching! 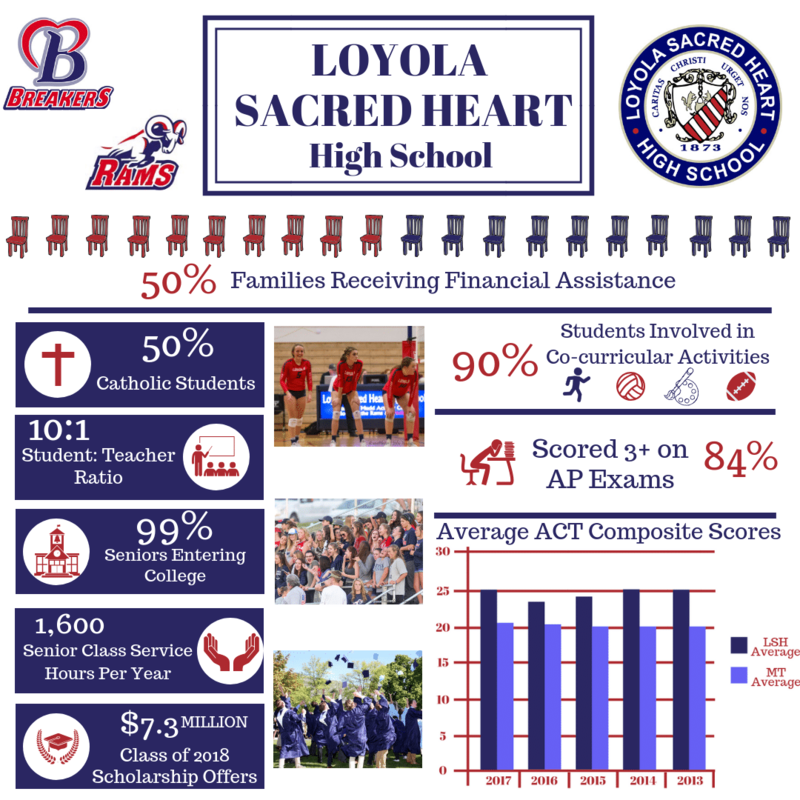 Loyola Sacred Heart High School graduates over 99% of its seniors to a 4 year college or university. Every year, the graduating class is awarded millions in scholarship dollars for academics, athletics and service. The state of Montana requires all Montana high school juniors to take the ACT exam. Loyola Sacred Heart continues to set a very high standard as our students continue to score well above the state and national averages in all academic areas tested. Loyola Sacred High School has a history rooted in the Jesuit mission in Montana. That mission dates back to the beginning of the twentieth century when Father Albert Trivelli, S.J. and the Jesuit community founded Loyola High School in 1912. Loyola served as a school for young men until 1974 when it merged with Sacred Heart Academy to become Loyola Sacred Heart High School. Collaboration has always been at the heart of this mission, collaboration between Jesuits, the Sisters of Providence, the bishop and priest of the Diocese of Helena, local parishes, lay women and men, students and their families. That collaboration continues to this day as we celebrate the continued relationship between the Jesuits and Loyola Sacred Heart High School. We, the Jesuits, recognize that the Ignatian spirit which helped form this school from its earliest days is alive and well, continuing to animate the mission of the school, rooted in the Spiritual Exercises of Saint Ignatius Loyola. With the Endorsement Relationship there are new opportunities for collaboration and growth with the schools of the Oregon Province, schools throughout the country, and indeed throughout the entire world. Loyola Sacred Heart will bring its rich tradition of service to the people of Missoula, and we hope will be enriched by schools that share its mission. 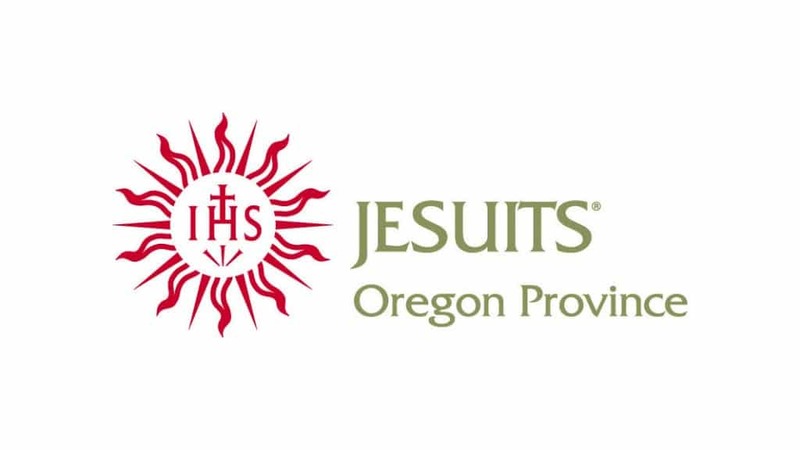 Now with great joy, we celebrate the endorsement of Loyola Sacred Heart High School by the Oregon Province of the Society of Jesus. We give thanks to God, whose grace remains the foundation of this school, and whose spirit remains its lasting hope.